Life's a Beach | Expat Life in Playa del Carmen : Spanish Classes for Kids in Playa del Carmen! Spanish Classes for Kids in Playa del Carmen! Have you recently moved to Playa del Carmen and need to get you children's Spanish skills up to par? If you are like most parents, you will be concerned that their struggle with learning a new language will negatively impact their regular academic studies and hinder them as they try to make friends and assimilate into "joventude Playense". Unfortunately, many of the Riviera Maya schools are ill equipped to handle the needs of their students matriculating from abroad who need to learn Spanish quickly in order to catch up to their new peers. Some may offer limited after-school tutoring but most teachers and administrators will encourage new families to find a private tutor. A private tutor is an excellent option during the regular school year and can help take the pressure off of parents to who may find the translation and interpretation of their children's daily homework assignments challenging if not impossible. A prestigious language school is now offering intensive Spanish language classes for children during the breaks in the academic school year. Classes are available at Solexico for age groups 7 - 9, 10 - 12 and 13 - 15. The courses run for 2 weeks, Monday through Friday, with lessons from 9 to 11:50 am. Each class will have a minimum of 2 and a maximum of 6 students working at the same level. The Solexico language programs are especially designed for kids to study Spanish in an age-appropriate, creative, interactive, interesting and fun way. The programs implement didactic games and both manual and communicative activities. The course materials used are in line with the European frame reference. Each of the Solexico instructors has been trained especially for our programs to provide kids with a solid Spanish language foundation while maintaining their interest, motivation and thrill of learning a new language. 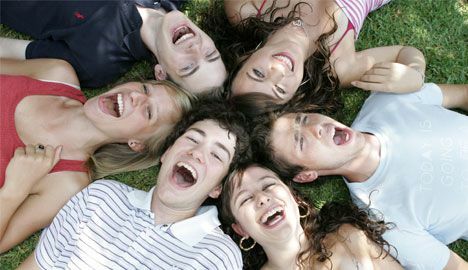 These classes are not meant to take the place of regular tutoring during the school year but will definitely give your kids a huge jump start on their Spanish language skills if they have just arrived in Mexico or kick their existing skills up a notch for kids who have been here for a few months but are still struggling with vocabulary and grammar. 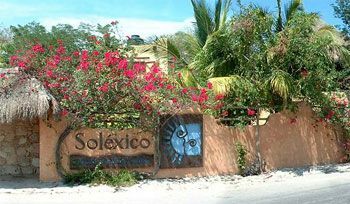 I had the good fortune to find Solexico seven years ago when we moved to Playa del Carmen. I attended several months of Spanish classes at Solexico as well as several other language schools in the area. In my experience, Solexico is by far the best structured and organized. The teachers not only know the course material well and how to present it but they are also motivational, friendly and fun. For someone who has just moved to Playa del Carmen, the teachers and administrators will be a great resource for information about the ins and outs of life in Mexico and how things work. They will be able offer a heads up about the cultural differences that you will likely be faced with as you begin your new life here and offer insights on how to handle them. Your children will undoubtedly find this information helpful as they try to navigate the social structure of Mexico youth. They will also meet other children and teens who, like them, have recently relocated to the area and will have common experiences to share. As worried as we are as parents about homework and academic performance, I can assure you the friendships your children will make will be just as important to their success in this tricky transitional time. Check out the Solexico website for more information about classes (for us parents too) and do not hesitate to contact me if you have any questions or need recommendations for private tutors.